Pallative Care Physician. Professor, The Geisel School of Medicine at Dartmouth. Author of The Best Care Possible: A Physician’s Quest to Transform Care Through the End of Life. "These days, parent care is hard. Even those of us who work in medicine and should know the ins and outs of America’s health care mazes have struggled with our parents’ medical care — and sometimes their basic human needs — during the last chapters of their lives." I don’t mind. It’s only natural. I want my friends, cousins, and other relatives to call. When I was growing up, my aunts and uncles as well as the parents of my close friends were important people in my life. I want to be of some value if and to the extent I can. These days, parent care is hard. Even those of us who work in medicine and should know the ins and outs of America’s health care mazes have struggled with our parents’ medical care — and sometimes their basic human needs — during the last chapters of their lives. Parent care is a theme that runs through my thoughts of the future. Naturally, I’m concerned about my wife and my own well-being as we age and face our inevitable decline. Mostly, however, I worry about my daughters. I don’t want them to struggle as so many of my generation have. I would hate for them to feel guilty in being unable to meet my and their mother’s basic needs as we are facing the end of our lives. That is why we have had multiple conversations in our family. It is why I have an advance directive on file. If tragedy strikes our family, I want to at least keep it in the family. My advance directive gives my wife and daughters clear authority to speak for me if — or is it when? — I become unable to speak for myself. I don’t want an ethics committee or judge to have to get involved in making decisions about my treatments and care. In my advance directive, I have given my family a sense of what I think my preferences for specific treatments would be — CPR, mechanical ventilation, medically administered nutrition. My instructions don’t tie their hands — they need to make the best decisions they can based on the particularities of my future medical condition — but hopefully help lighten some of the burden that such decisions always represent. 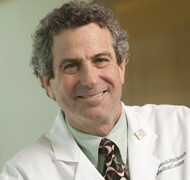 Ira Byock, MD is Director of Palliative Medicine at Dartmouth-Hitchcock Medical Center in Lebanon, New Hampshire and a Professor at the Geisel School of Medicine at Dartmouth. Byock has authored numerous articles on the ethics and practice of hospice, palliative and end-of-life care. Byock has been a consistent advocate for the voice and rights of dying patients and their families. His most recent book, The Best Care Possible (March 2012), tackles the crisis that surrounds serious illness and dying in the US.